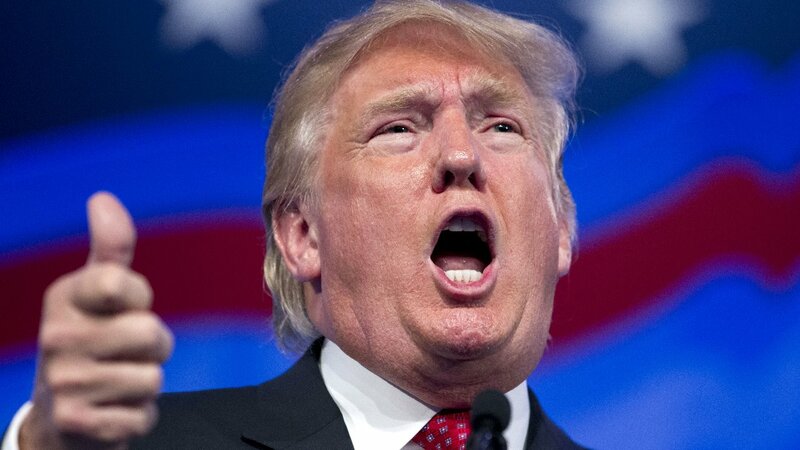 RALEIGH -- With Donald Trump now the presumptive Republican presidential nominee, left-leaning Public Policy Polling is out with its latest national poll and seems to be trying hard this year to add some entertainment to the normally dry world of polling and statistics by having a little fun with its questions. RELATED: HOW DID A TEEN WITH A VULGAR NAME POLL SO HIGH IN NC? PPP said Tuesday its research shows Republicans have quickly unified around Trump, and that means the presidential race this fall is potentially far more competitive than some pundits have predicted. In a head-to-head matchup between Trump and Hillary Clinton, Clinton leads by just 47-41 percent. "Hillary Clinton certainly is favored to win the Presidential race this fall," said Dean Debnam, President of Public Policy Polling. "But it might not be the giant blowout it's been made out to be in some quarters. Donald Trump has quickly gotten most rank and file Republican voters behind him and that has him positioned as a modest underdog for the general rather than a massive one." Much has been made of both Trump and Clinton's high unfavorable ratings and how that might affect the general election this fall. PPP said Clinton's rating currently stands at 35 percent having a favorable opinion of her while 55 percent have an unfavorable. PPP found 34 percent have a favorable opinion of Trump while 61 percent said they had an unfavorable one. 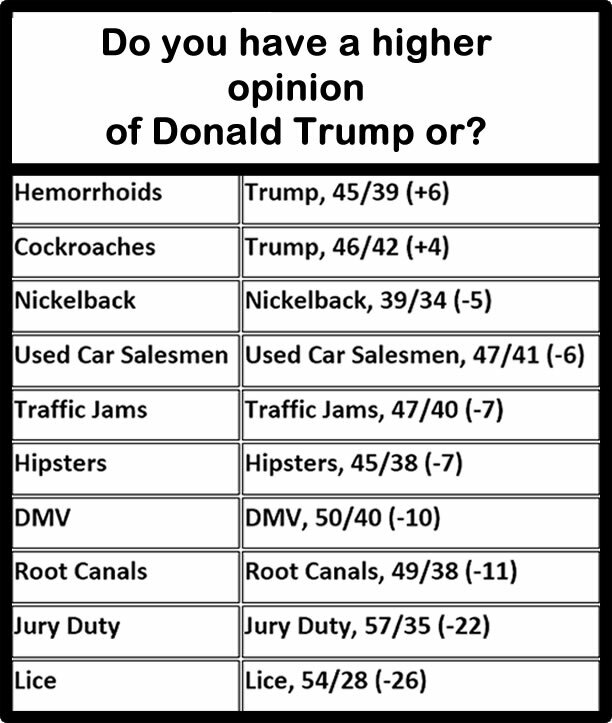 So, PPP went a little further to see "just how much people dislike Trump, by matching him in a series of heads to heads with things such as root canals, cockroaches, and even hipsters to see who voters had a higher opinion of." Despite Clinton's high unfavorability, PPP didn't poll to see what she is more popular than. It did ask if she was elected would you move to another country. Eighteen percent said yes, while 76 percent said no.